McGard produces the highest quality products at the most reasonable cost to meet our customers’ needs. We strive to continually improve ourselves and our products while targeting our ‘zero defects’ goal. 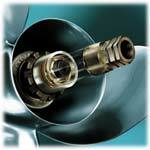 We shall conform to the requirements specified in ISO 9001 and ISO/TS 16949. 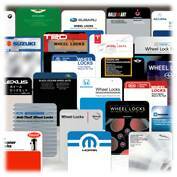 McGard is a manufacturer of high quality security products, wheel locks and chrome plated lug nuts. Our customers include some of the finest North American, Japanese and European automotive manufacturers, as well as government agencies, the military, municipalities, and the fuel industry. Since 1966, McGard has become known for its unique product designs and comprehensive service programs in these and other areas where security and safety are top priorities. Consistent high quality that insures the greatest value for our customers is the foundation of our business, and is evident in every McGard product on the market today. 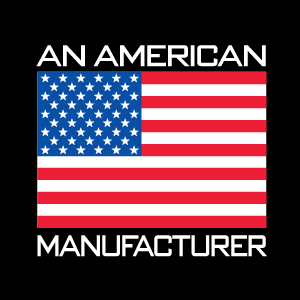 When we say “An American Manufacturer” we mean that all of our products are and always have been invented, designed, engineered and manufactured in our headquarters & factory located in Orchard Park, N.Y. However, in this age of globalization it is not always practical or possible for us to procure all needed materials and components domestically. Some components may come from our subsidiary in Germany/E.U. and some components may be sourced globally. While only a small percent of our products and/or packages contain foreign content, all packages are labeled accordingly. McGard invented its unique one-piece wheel lock for the automotive aftermarket in 1966. It functions like an existing lug nut, but requires a special key (tool) for removal. Our wheel lock is easy to use, yet provides a high level of wheel & tire security. It’s also adaptable enough to allow for an unlimited number of different computer designed lock & key patterns. McGard employs the same innovative design and high quality standards used in the production of our wheel locks in the manufacture of chrome plated lug nuts. Our in-house plating technology and experienced personnel are second to none in the industry. These capabilities enable McGard to produce superior quality lug nuts that are strong, safe, durable and exceed typical corrosion resistance standards. They’re so durable in fact that we guarantee them for life not to rust, chip, or peel! 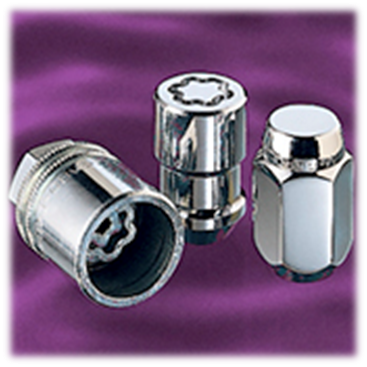 Machined from stainless steel and naval brass these products are built to withstand the demands of a harsh marine environment. Air bag theft is a major problem for vehicle owners, car dealers and fleets. McGard has developed a simple and inexpensive air bag lock to protect air bags from theft. Auto dealerships and fleets can simply replace two standard air bag mounting bolts with our locking bolts. The air bag lock requires the matching key (tool) to be removed. Simple and effective air bag theft protection. In 1980, McGard established its Special Products Division to provide customized security products for non-automotive applications. The evolution of our unique Intimidator line of security products has since provided innovative security solutions for access/perimeter control and theft/removal prevention for municipalities, public utilities, the oil field industry, high security facilities, and electronics and telecommunications equipment. Security fasteners for government & military installations, correctional facilities and other high tech security applications. It is the policy of McGard to minimize, to the extent feasible, the environmental impacts of our activities, products and services. In our commitment to protecting and preserving the environment, we also intend to comply with all applicable Federal, State and local environmental regulations and other requirements which relate to our environmental aspects. McGard plans to identify and implement controls and practices to continually improve our Environmental Management System through our objectives and targets. McGard seeks the help of all persons working for or on its behalf to achieve the program goals and commit to the prevention of pollution.